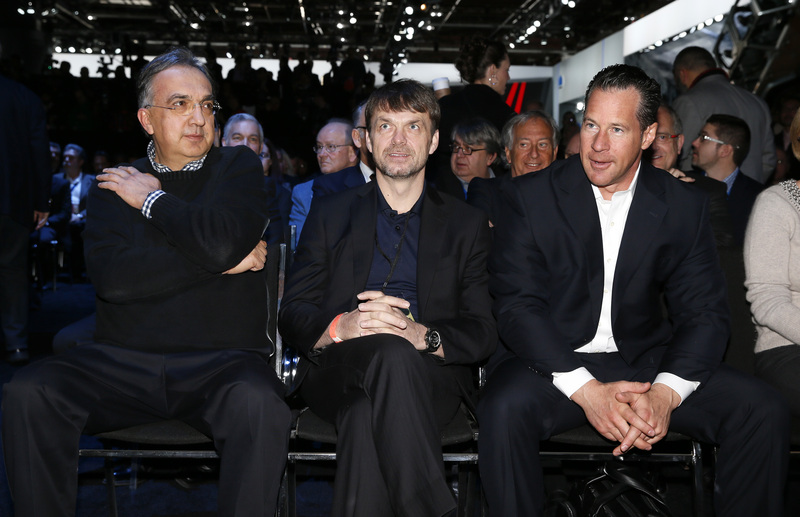 MILAN– Sergio Marchionne’s achievements as one of the automotive world’s most charismatic chief executives include the bold trans-Atlantic merger of Italian carmaker Fiat and U.S. No. 3 Chrysler after he restored both to health. The Italian-Canadian always insisted a replacement would come from the ranks of his hand-picked and tested team, managers who met his exacting standards. Asked if he planned to leave a script behind when he stepped down next year as planned, Marchionne said that wouldn’t be necessary. Marchionne, 66, was hastily replaced as CEO of Fiat Chrysler on Saturday after the company announced that his health had taken a turn for the worse following shoulder surgery last month in Zurich, Switzerland. Details of the complications and his condition were not disclosed, but the company said they prevented him from returning to work. The head of Jeep and Ram, Mike Manley, was picked to replace Marchionne. The Briton was a key executive on Marchionne’s team, growing the quintessentially American Jeep brand into a global marquee and giving it a belated foothold in China. Elkann, the 42-year-old heir of the Agnelli family that founded Fiat in 1899, remembered Marchionne coming to the Italian carmaker in 2004 at “one of the darkest moments” for the long-struggling company. The Fiat-Chrysler merger remains the crown jewel in the 14-year Marchionne era, an accomplishment built on a series of daring plays. In 2005, the trained lawyer who studied philosophy demonstrated his deal-making skill by getting GM to pay $2 billion to sever ties with Fiat as part of a failed cross-border tie-up. The money was pivotal to relaunching the failing carmaker. Then in 2009, he secured a deal with a then-new U.S. President Barack Obama to take over bankrupt Chrysler without Fiat having to put a penny down in exchange for Fiat’s small car technology. Other essential corporate moves included the spin-off of the heavy industrial vehicle and truck maker CNH and of the Ferrari supercar maker. Both deals unlocked considerable shareholder value for Agnelli family heirs. Analysts at Albert Bridge Capital calculated that the companies controlled by the Agnelli family’s holding company grew in value from 6 billion euros at the start of Marchionne’s tenure to over 60 billion euros today. But his ambition to complete another big deal — a merger with American carmaker GM — was not realized. The failure ultimately made it easier for Marchionne to contemplate giving up day-to-day control of FCA after delivering 2018 earns. Marchionne also has been replaced as CEO of Ferrari and chairman of CNH Industrial. He had planned to update the financial community on his 5-year plan for the super sports car maker in September, which was expected to include details of how he envisioned transforming it to a luxury goods company beyond cars. That will fall to the new CEO, Louis Camilleri, a former manager at Philip Morris.